R2D2's Legs is actually an assembly of 4 different components: The Leg, shown here, the CS:R Ankle, part of the CS:R 3D CAD files, the CS:R Shoulder Horseshoe, and the CS:L Booster Cover. 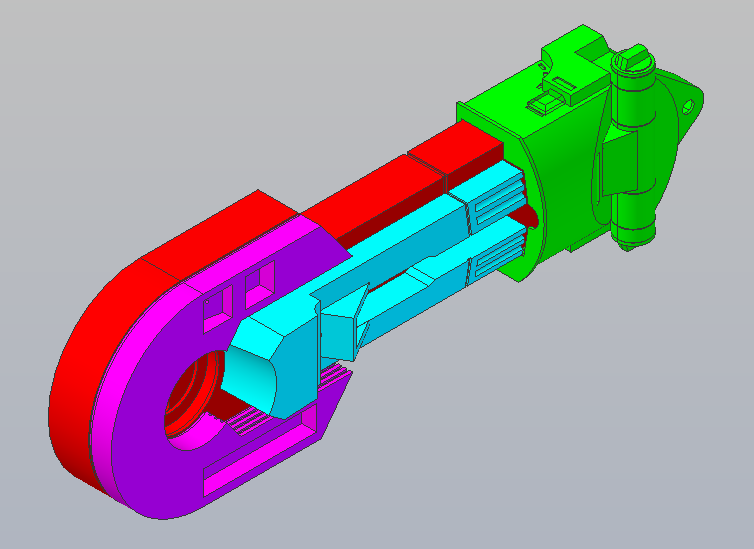 In addition to the components there are a number of small parts not shown here (except for the ones included in the ankle CAD model). On this page we show both the Leg itself and the Assembled Leg. Follow the links above to the other components. Click on the image to open a 3D .pdf version of the design. Note that the model is incomplete, among other things, the Under Shoulder recess is not yet modeled. As mentioned above, the Leg is an assembly. 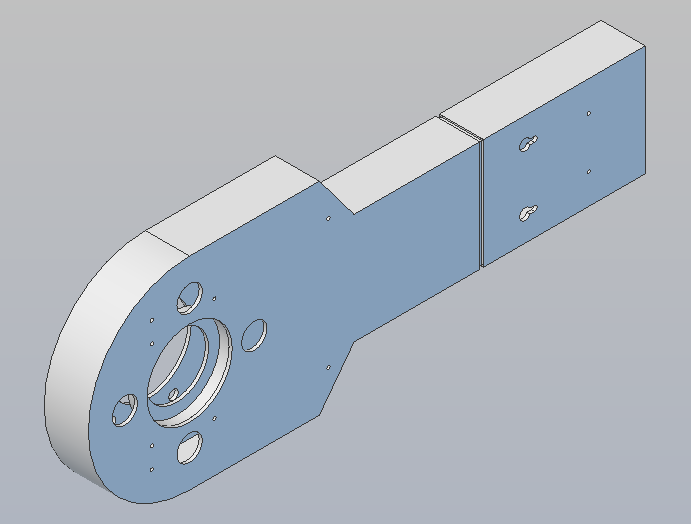 Shown below is an assembled leg using the current version of the part models. Click on the image to open a 3D .pdf version of the design. This is a cross section of the leg assembly shown above taken at the Ankle Bracelet showing the Leg and Booster Cover. The CS:L Ankle Bracelet did not have a hole for the Booster Cover. There is approximately a 1/16" gap around the booster cover. We are assuming that is to enable installing an Extended Booster Cover when the ankle is not in the extended position. 1. That the groove detail in the CS:L Booster Cover measures .1 while the corresponding CS:R feature measures .15. To be compatible with the CS:R Leg the groove should be enlarged. 2. 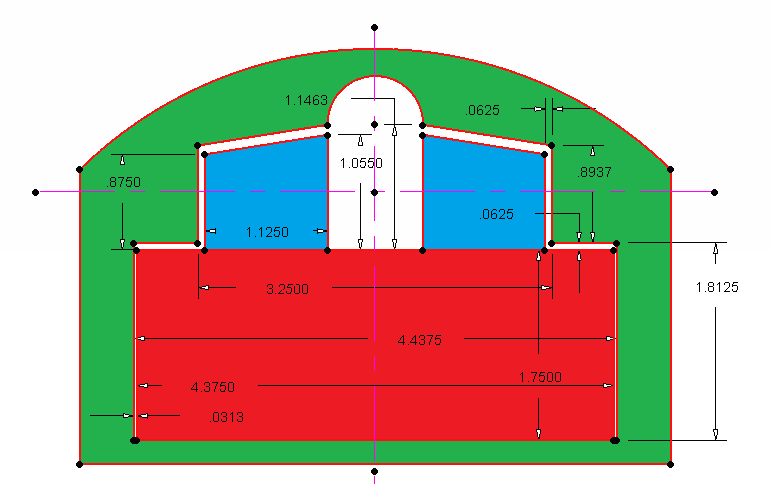 The CS:R Shoulder Horseshoe drawings do not include the shim. It has been included in this version. You can download models in STEP AP203 (.stp) format in English (inch) units as well as in 3D.pdf format: click here.